At least forty patients in mental hospitals around Norway have been given electroshock treatment without their consent and despite objections from the country’s Civil Ombudsman, a local media investigation has claimed. Reporters from the Verdens Gang (VG) newspaper examined figures from the Norwegian Health Ministry from 2014 to 2016, and found that at least forty patients had been given electric shocks 166 times without their consent. Electroshock therapy, also known as electroconvulsive therapy (ECT), is known to be an effective treatment for some serious mental health conditions including major depression, mania and catatonia. However, it can also cause seizures and memory loss. Under normal circumstances, ECT is only given to patients who’ve consented to the procedure, though Norwegian doctors are allowed to authorize it themselves if they feel it is a last resort to save a person’s life. However in January of this year, the Norwegian Civil Ombudsman strongly protested against the treatment being used on a patient who had not given their approval. “There are two aspects here that are particularly concerning. One is that the numbers are uncertain. The other is that patients are given several treatments over time, based on emergency necessity. "It is notable in itself that a treatment justified by an emergency situation can last for days and weeks,” Helga Ervik of the Ombudsman’s unit against torture told VG. Several of the hospitals accused of the practice told VG they had only carried out ECT after consulting with relatives, but Ervik said this wasn’t enough. “A relative can never give consent to an invasive procedure of this kind. The requirement for consent is only fulfilled by the individual in question giving it,” she explained. However, hospital representatives countered that the final decision rests not with relatives, but with medical specialists. Electroconvulsive therapy is widely thought to be a painful procedure that reduces brains to mush. In 1961, writer Ernest Hemingway shot himself in the head shortly after undergoing ECT. 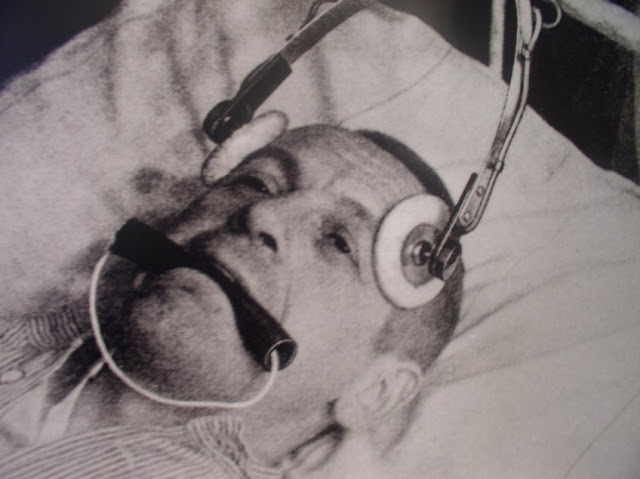 Although electroshock therapy was considered very painful and dangerous before the 1950s, when there was no anesthetic to knock patients out before the procedure, supporters now argue that it is a relatively safe way of treating psychiatric illnesses. However, because it is still a relatively under-researched treatment and causes problems with memory loss, some medical experts believe it should be used sparingly.